Joe Von Bokern hails from The People’s Republic of Boulder, CO, and is a proud graduate of the University of Colorado’s theatre performance program. During his time in the rectangle state, he was recognized with two Irene Ryan Acting Scholarship nominations for his work in CU shows, and appeared in several productions with Boulder Broadway Co. and Coal Creek Community Theater. 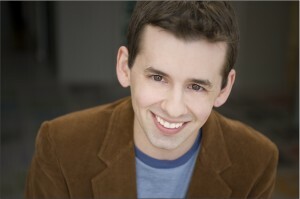 In 2007, Joe came to Chicago to pursue a career in performance, and has since appeared in a number of regional theatrical productions, including several original works. At the recommendation of his friends and roommates, he began studying long-form improvisation in 2009 and is a proud founding member of Hugs and Pullups, the midwest’s most face-melting improv comedy troupe. When he’s not on stage, Joe enjoys biking, watching cartoons, and cheering for his beloved Rockies. Visit his official website at www.JoeVonBokern.com! View Joe’s resume and agency info here!